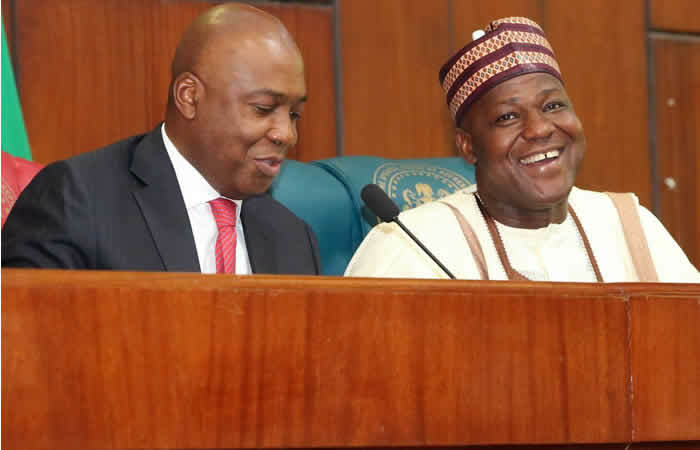 Federal High Court in Abuja has ordered Senate President Bukola Saraki and the Speaker of House of Representatives, Yakubu Dogara to respond to suit challenging their defection from the All Progressives Congress, APC, to the Peoples Democratic Party, PDP, within five days. Justice Okon Abang on Friday also directed 18 senators, 36 House of Representatives members, the Attorney General of the Federation, INEC, Deputy Senate President Ike Ekweremadu and Deputy Speaker Yusuf Lasun to file and serve others their papers before April 18, when the suit is set for hearing. Justice Abang, however, ruled that counsel to the Senators Mahmud Magaji (SAN) would not be allowed to file any defence to the matter before the court. The judge held that since he only filed an application for conditional appearance in the matter, without seeking leave of court to file a response out of time, the court cannot grant what was not requested it under Order 26 Rule 1 of the Federal High Court Rules, adding that the court is not a Father Christmas. “The court of law cannot grant a party any relief not sought, I so hold. What the 2nd to 18th and 57th defendants counsel sought for is just for a memorandum of conditional appearance, no more, no less, I so hold,” he said. LEDAP filed the suit in September 2018 seeking an interpretation of Section 68(1)(g) of the 1999 Constitution. Recall the suit against the federal lawmakers who defected from their respective political parties was set for judgment on yesterday when the lawmakers appeared in court seeking to be granted fair hearing in the matter. Senators Saraki, Godswill Akpabio, Musa Kwankwaso, Shaaba Lafiagi, and Rep Dogara among others defected to other political parties in the build-up to the 2019 general elections.